Shonen Knife play Club Congress Tuesday night in a KXCI Presents! show. 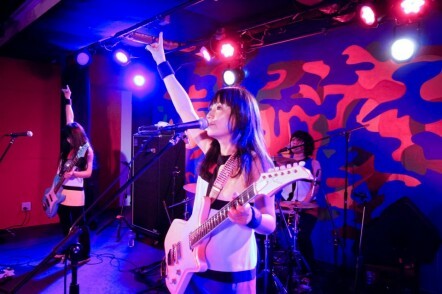 For Over thirty years the Japanese all-female band Shonen Knife has fused the sound of 1960’s girl groups with the punk rock of The Ramones. They are touring behind their 18th album, Pop Tune. Quiet Please opens at 8:30pm.